If you are working out and going to the gym to keep fit, then you will always want to make sure you are progessing, even if only slightly. Here I’ll share with you 10 simple ways in which you can improve what you do every day of the week. Listen to up-tempo music before your workout. This can raise your heart rate, pump you up for an intense weightlifting workout, and temporarily boost your muscle power by 10 percent. Performing light weight exercises at the end of your heavy strength workout will cause your body to pump out more ‘fat-burning’ and ‘muscle-building’ hormones. Do 20 reps with 50 percent of your 1-rep max. In stressful situations, glucose-rich drinks will improve your mood and mental performance. 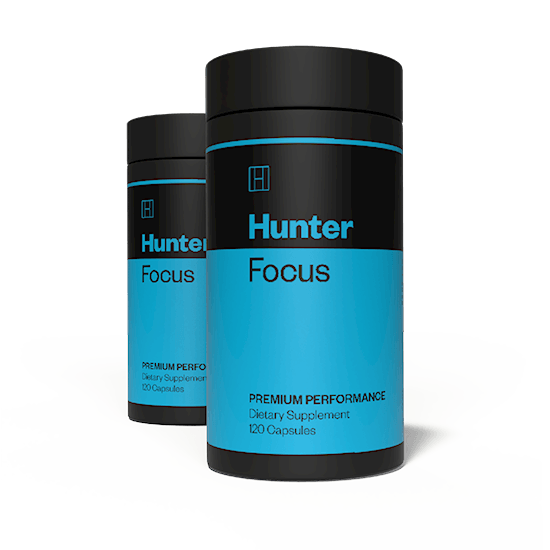 This will help keep your mid sharp and focused. Milk chocolate has been shown to boost verbal and visual memory, impulse control, and reaction time. Finding another reason to workout other than just to build muscle will make you want to stick to it for the long term. Enter weightlifting competitions or marathons. Not only will it be fun and something to look forward to, it will help you keep to your goals as you will set time frames to be in shape for those events. break the rules and get those cheat meals in. go for a greasy kebab. doing so will make it easier to stick to a healthy diet. When you get in front of the TV, enjoy a football or basketball game with a bison or ostrich burger. These are lean meats and they are packed with muscle-building nutrients and they happen to be much tastier than normal ground beef. Do you have a sh*t load of pent up negative energy? the take a 30 second sprint down the road. This can reduce tension, anger, and confusion for approximately 75 minutes. Doing so will make you feel as if you are using less effort while exercising from being on an antioxidant-rich diet than when on a diet low in the disease-fighting chemicals. Sleeping late on weekends will leave you feeling more tired on Monday. Get up early. Although I have encouraged you to focus on isolation exercises to help you build and develop your smaller muscle groups, it is just as important to include multijoint exercises for a complete bodybuilding routine. how much you do of each depends on how far along you are in you muscle development. In previous posts such as How To Build Muscle Mass With A High Metabolism, I have talked about the importance of training ‘the correct way’ and to always keep to your routines with strict discipline. This is an even more important factor when building your smaller muscle groups, as you will need to have this mind set if you want maximum results for your efforts. But in terms of discipline for your training technique, the best way to perform your exercises is by using full range of motion. The most common type of exercise for the upper back is a rowing movement. But the smaller muscles of the middle back don’t really come into play until your shoulders are drawn all the way back. It isn’t until you start to squeeze your shoulder blades together in the rear that these muscles begin to play a key part in the exercise. So unless you do at least some of your rows with a full range of motion and with a complete peak contraction of the middle back muscles, you can’t expect to direct the kind of intensity at these muscles that they require for optimum results. Because the heavier you lift, the less likely it is you’ll be able to work through the range of motion required to work your smaller muscles to the max. Stay tuned for part 3 where I’ll talk about Heavy vs. Light lifts when building your smaller muscle groups. Yesterday I talked about ways to build muscle in your weightlifting workouts without the use of gym equipment or iron free weights. What I introduced was how to build muscle in a backyard gym with resources that are available to you at your local home improvement store. Today I’ll share with you a few more creative ways that you can build your own weights for cardio and resistance training. These can be your alternative to dumbbells and here is how you can get creative with them. Fill the empty milk jug or paint can with sand and replace the lid. You should use some type of sealant to help prevent the lid from popping off. Then, choose at least 3 sizes of jugs so that you can focus on aerobic training and strength training with the larger jugs. Lifting sand may become easy after a while, if so, just replace the sand with stones to increase resistance. Now, I haven’t used ankle weights in some time, but when I first started to workout with all of my then gym buddies, we weren’t exactly rolling in cash, and as students we had plenty of time on our hands to get creative. Ankle weights are a common use amongst those who play basketball, but if you power walk or jog as a part of your cardio training then you would possibly use ankle weights in your workouts too. Keeping to the back yard way of building muscle, this is one technique you can use to build your own ankle weights. 1) Find a set of nylon leg stockings. 3) Using a bathroom scale and a bowl, measure up 2 pounds of sand. 4) Place the sand into one of the legs on the leg stocking and tie it off on the open end. 5) Slide it into the tube sock and tie it. 7) You now will have two 2-pound weights that you can use. 8) The ends of the shoestrings can then be used to help secure the weight to the ankle area. One other thing that you can do would be to get a white trash can liner. But I like the sock, as it is more comfortable. You will need to either own a bench or build one to use the broomstick barbell. Easily done once you get to that home improvement store. 1) Super glue the lids after you screw them back on to keep the sand from spilling out. 2) Cut off a long broomstick and force it through the plastic handles. 3) Get some strong tape to secure the jugs on the inside and outside of the broomstick. This will keep the jug from sliding around. Do this for both ends of the stick. 4) You have now built your broomstick barbell. 5) Use the broomstick barbell in your weightlifting workout for squats, curls, and bench presses. Purchase some concrete mixture and then pour it inside. Place the plastic lids over the cans and cut a hole large enough to hold and let the broomstick handle through. Put the broomstick into both cans and let it set to dry. Get some strong tape gain and tape the handles to make for a stronger grip. These take more work to build, but will last longer and feel more secure. Stay tuned for tomorrow’s post where I’ll describe how to create a sandbag for your back yard weightlifting workouts.